Time for some summer fun! 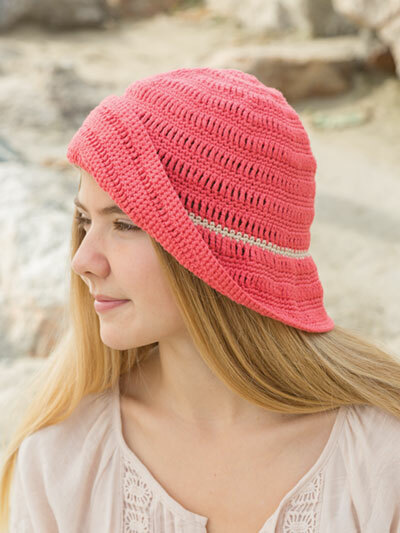 Dress up a set of flip-flops, make a cute spiral scarf, then top it all off with a sweet summer hat! All pieces are crocheted in DK-weight Plymouth Nako Calico using U.S. sizes E/4/3.5mm and G/6/4mm hooks. Crochet the entire set with 2 balls each coral, ecru and beige, and 1 ball each of majestic blue and sand. 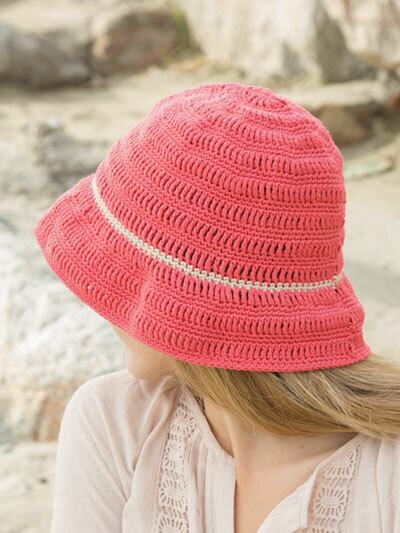 Crochet the hat with 1 ball each of coral and sand. 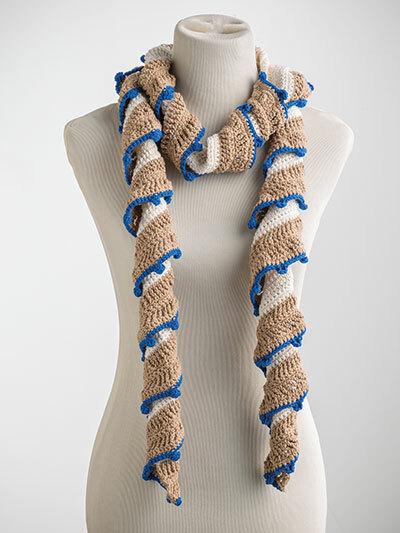 Crochet the scarf with 2 balls each of ecru and beige and 1 ball of majestic blue. Crochet the colorful flip-flops with 1 ball each of coral, sand and majestic blue. Crochet the neutral flip-flops with 1 ball each of sand and beige. Hat instructions are given for sizes S/M (L/XL). Hat Circumference: 21 (22 1/2)"
Flip-Flops: To fit strap length of 5 1/2" to 6 1/4"